Excellent article on Eritrea second worse country in the world for Christian persecution. Eritrean Christians have described the current situation in the country as getting “worse and worse” both for Christians and the general population suffering from the repressive policies of the Eritrean government. The news came in a report from Rev Dr Berhane Asmelash, Director of Release Eritrea, who travelled to Ethiopia on a fact-finding mission to meet Eritrean refugees. Eritrea has one of the world’s most repressive governments, and Dr Berhane describes the country as “a large prison”. Currently almost 1,000 Eritrean Christians are in prison for their faith; none has been charged or tried. They are incarcerated in appalling conditions, and brutally treated. in 2015, a United Nations inquiry into human rights in Eritrea has found “very clear patterns” of violations and abuses. Dr Berhane lives in London with his family and works as a rector. He was working as a medical doctor in his native Eritrea when security authorities came to the hospital and arrested him because of his Christian work. He spent eleven months in prison, and saw friends and fellow-prisoners led away to execution. Dr Berhane visited Ireland in 2005 to speak at the Church in Chains conference, and returned in 2009 as interpreter for guest speaker Helen Berhane, an Eritrean Christian who had been imprisoned for her work as a gospel singer. In October 2015, Dr Berhane visited Ethiopia and met Eritrean refugees. The following is his report of the current situation in Eritrea. “Eritrea is led by a former freedom fighter, Isaias Afewerki, and since its independence from Ethiopia in 1993 it has never had an election and has no constitution. Now, with the exception of Syria, Eritrea produces the largest number of refugees in the world. According to the United Nations High Commission for Refugees, each month 3000-5000 Eritrean refugees cross the border to Ethiopia and Sudan. “When I visited the Ethiopian refugee camps last October, I was told an average of 100 new refugees from Eritrea were arriving in the camps each day. This is as a result of the totalitarian government’s harsh treatment of Eritrean citizens. Government critics are not tolerated and political opposition is harshly punished. “Members of Methodist, Adventist, Evangelical and Pentecostal churches were banned [in 2002] from gathering for worship in their own church buildings, and their leaders and members were picked up individually and in groups from their houses, the streets, their offices and wedding venues and were sent to prisons. [Some Christians arrested at this time are still in prison.] Later, the persecution extended to include the registered churches: the Orthodox Church and Lutherans are closely monitored and some of their leaders have been sent to prison. “I met an ex-prisoner in Ethiopia who spent four years and six months in prison. He was arrested for his Christian activities. He told me, in one of the prisons where he was locked up, there was not enough food and he lost so much weight that he was weighing just 37 kilos. The prison’s name is Me’etr, a remote prison located in northwest Eritrea. It is hot and dry most of the time, with a lot of desert sand storms. No visitors are allowed and there is no nearby town and no transportation. Prisoners are subjected to hard labour, starvation and sicknesses. This prison was mainly constructed to host Christian prisoners. There are some prisoners in this particular prison who were arrested in January 2005 and eleven years later they are still in prison. Dr Berhane also sent messages from two Christians in Eritrea. The first: “This morning my best friend there, ‘A’, contacted me through chatting and told me that these two months were the worst this year. One of the main leaders (the one we prayed for his sick son) is in prison now with his wife. Two weeks ago, they had a worship meeting in his house and one of his neighbours reported them. His children are now with a relative and we don’t have more information about them. 1. Please pray for protection as our brothers and sisters share their faith with others under enormous pressure. 2. Pray for wisdom and for the Holy Spirit to lead them on what they should say. 3. Pray for their health and their bodies to be protected from any diseases in these bad prisons. 4. Pray for the prisoners and their families that their faith and emotions would be strengthened. 5. Pray for the prisoners, that they would get strength by the Holy Spirit, and eventually get released, very soon, safely. 6. Pray for the church to be strong in faith, not to be in fear but to keep on declaring the kingdom of God and sharing the gospel with others. 7. 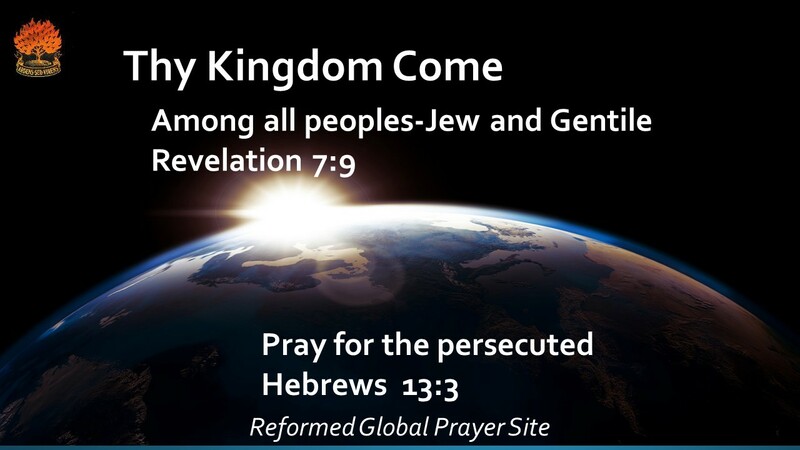 Please pray for our Mighty Lord to strengthen us and to open more hearts for His kingdom. 8. Pray for change to come to the situation of Eritrea. NOTE: Release Eritrea supports Eritrean Christians, including those exiled in other countries, and campaigns on their behalf.